Does EarthCube Hold the “Keys to the Kingdom" of Earth Science Data? With all the recent excitement and good hopes over the White House Climate Data Initiative, and the ongoing progress of the Global Earth Observation System of Systems (GEOSS), there is another huge data initiative that bears mention: EarthCube. I have used the word “initiative” for EarthCube but it has also been described as a vision, as a multi-faceted, multi-layered partnership, and also as a “virtual organization.” As such, it bears quite a bit of resemblance to the international GEOSS, but is much more US-based, having been conceived and currently funded by the US National Science Foundation (NSF). Thus, it may be quite important for advancing President Obama’s Climate Data Initiative and for similar efforts to bring data to bear on real-world problems that need fast, efficient, and long-lasting solutions. This means providing easy and unlimited access to any kind of scientific data–access that allows plotting, modeling, and visualizing in various ways, from a desktop, a phone, a tablet, out in the field or in the research lab, the classroom, or the office of a policy-maker. We anticipate that many NSF-funded EarthCube projects, along with the data shared therein, will be used to meet some of the goals of the GEOSS initiative. There are also natural ties between EarthCube and various Open Data initiatives. 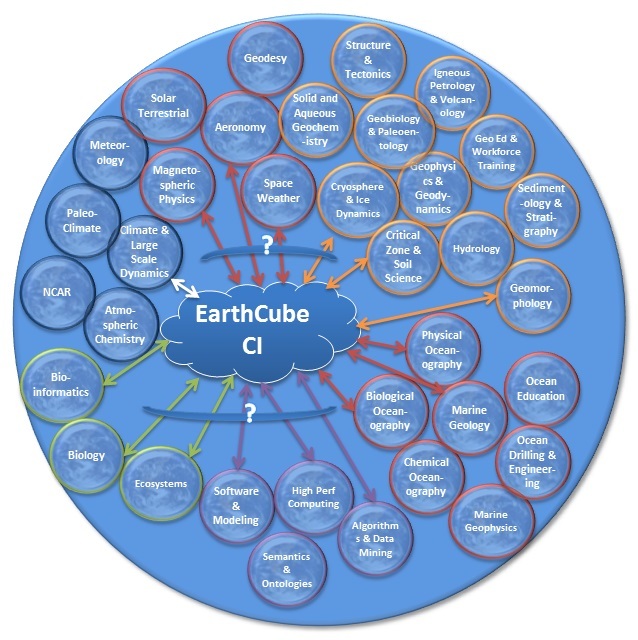 An overview conceptual graphic of EarthCube, courtesy of NSF. Although EarthCube was launched in mid-2011, the NSF announced in September 2013 a total of $14.5 million in funding for several large projects. These included funding for an initial governance framework overseeing EarthCube, for the initial software components that will comprise it (aka “Building Blocks”), for projects to develop broad architecture designs (aka “Conceptual Designs”), and for Research Coordination Networks (RCNs) to helps specific facets of the geosciences community move forward to get involved with EarthCube. Esri will continue to be involved with additional planned collaborations as new rounds of EarthCube proposals for RCNs and Building Blocks are funded. These include work with academic scientists to leverage and enhance our open-source GeoPortal server for supporting multiple ontology searches and for showing relationships beyond just digital data archives (i.e., relationships among people, institutions, models, workflows, etc.). Chief Scientist Dawn Wright is an active member of the Liaison Team within EarthCube Governance. For information on EarthCube please visit earthcube.org and http://www.nsf.gov/geo/earthcube. 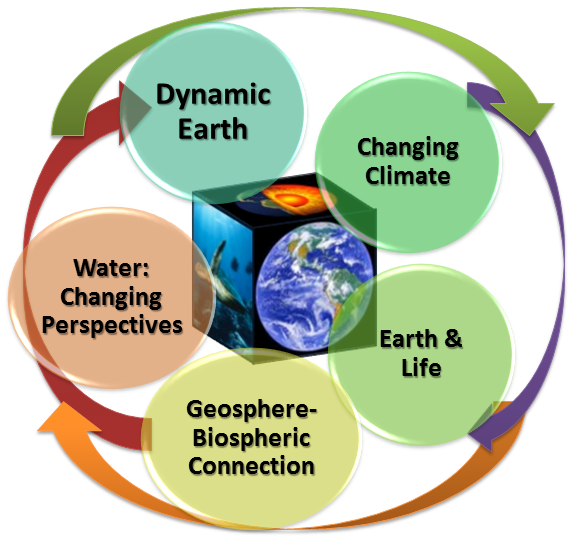 This American Geophysical Union article also provides an excellent overview of the EarthCube vision.